SEO is an ever-changing entity – we are continually altering our methods, analysing search engine algorithms and trying to stay ahead of the game. In the past 10-15 years, SEO techniques have changed drastically. Technologies have advanced, and search engines have become increasingly complex – SEO tricks we utilised a decade ago are no longer relevant for example. Some techniques are even frowned upon and can negatively impact a websites SEO. These techniques are known as Black Hat – as a web designer or a business owner, you must be careful to avoid any type of black hat tricks as they can negatively impact your search engine rankings and even result in blacklisting. The term “black hat” is a salute to traditional Western films where the bad guys would typically wear black cowboy hats! One particular genre of black hat techniques is link building – in this article, we will divulge 7 link building techniques you should avoid at all costs! Link building is the process of creating backlinks to your website. For example, you may have written a guest blog post on a complimentary businesses website and within your post, there may be a link to one of your product pages – this would be an example of link building. Incidentally, this particular example would also be classed as white hat link building – it is natural, organic, and genuine. 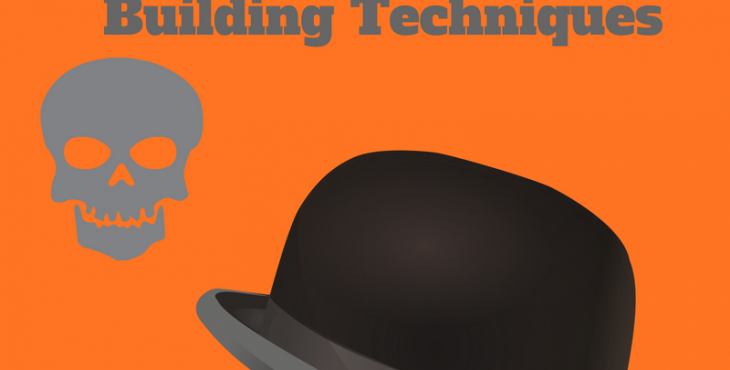 White Hat Link Building techniques can improve SEO and search index rankings. Search engines will look favourably on positive backlinks that give weight to your website’s content and value. Black Hat Link Building techniques, however, are generally unethical and attempt to conn search engines such as Google and Bing to obtain higher index rankings. This type of technique breaks the established rules and goes against the traditional link building process. Forums allow users to create a profile and a signature – within this block of information you can add a link to your website. When you make a forum post, your signature will usually be displayed – other users will then see the link to your website – this is perfectly acceptable! What’s NOT acceptable however is using automated software to create thousands of fake forum accounts to spam your profile and signature. This is a highly frowned upon black hat link building technique and it is easily identifiable. This is quite an archaic form of link building but it is still a practised technique. If you know where to look, it is possible to find websites and auction sites that sell backlinks – yes you can actually purchase backlinks to artificially improve your SEO! As you can guess, this technique is frowned upon by Google and in recent years, the company has taken measures to improve their technology to identify this type of link building process. Wiki pages are dedicated information repositories that related to a particular industry, product, company or entity – a computer game might have a Wiki page, for example, detailing info about the game and its development. In the past, it was possible to use software that created wiki pages containing links to your own website – as you can imagine this type of black hat process was easily identified by search engines. Generally, the automatically generated content was bland and had little relevance to your website. This particular link building technique has exploded in recent years due to the popularity of blogs as a form of promotion and marketing. On most blog articles, there is a comment section – users can leave a comment and also leave a link to their website. This again is an acceptable practice when used in moderation. Blackhat blog comments, however, are another frowned upon technique with similarities to forum posts. Users will spam various different blogs using automated software – this will allow them to quickly build up a host of backlinks. As with forum posts, this technique is also quite obvious – in most cases, the spam blog comments will have no relevance to the content of the blog post itself. Bookmark websites such as Reddit, Stumbleupon, Pinterest and Digg are widely used as backlink sources. These websites allow you to place a link to your website together with a short description of its content. This is a perfectly acceptable process and a fantastic way to build links. Blackhat specialists, however, would use automated technology to spam bookmark sites and generate thousands of links in a short period of time. In the infancy of SEO, directory links were hugely popular. A user could create an article complete with links to their website and submit it to a range of directories such as HubPages and EzineArticles. These directories would then automatically submit your article to hundreds of other directories thus providing a large number of backlinks. Although this method used to be effective, it is advisable to avoid using directories as they can be classed as spam by search engines. Why do these techniques negatively impact your SEO and reputation? Search engines such as Google and Bing have set rules and procedures. Their algorithms check for certain processes and features within websites, content and backlinks. If you break these rules and continually use black hat techniques, your rankings will take a hit. Depending on the severity of your transgression, your rankings may be affected for days, weeks, or even permanently. There have been numerous cases where websites have been banned from Google’s listings due to their processes and link building techniques. Don’t be one of those people! Avoid any type of automated link building process and instead, work hard to manually build backlinks from reputable sources. If you play by the rules and put in a little effort to create genuine and meaningful backlinks, you will benefit in the future as your search engine rankings start to rise organically.